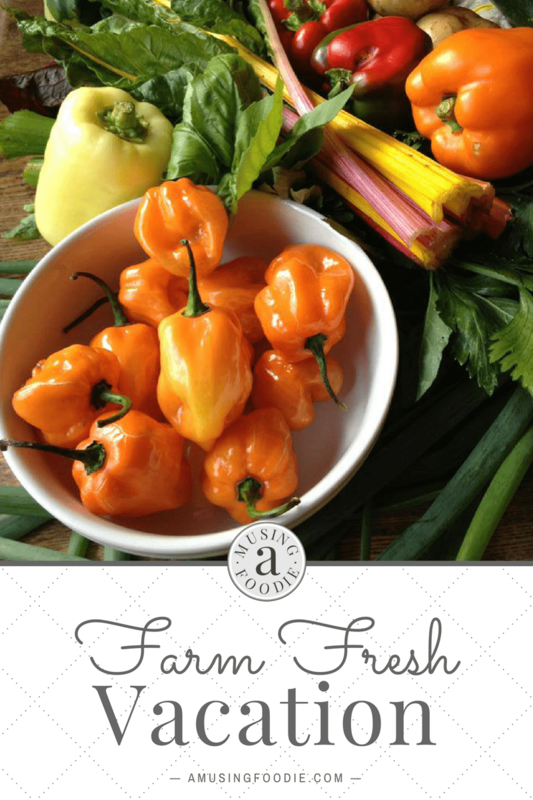 Consider bringing local fruits and veggies for a farm fresh vacation! We’re on vacation this week in Cape May, New Jersey. The drive up from Maryland was fairly uneventful, except for a few stretches about 20 miles out from the shore where we averaged 5 mph. Painfully slow, especially when you have a five year old and a one year old in the car and there’s no A/C. But there was one good thing that came out of the slowwwwwwwww drive (60 minutes to drive 10 miles, to be exact! ), I was able to take in all the local produce stands on the side of the road. Seriously, there must have been a stand every couple hundred feet, and it really made me wish I had taken a closer look at Edible Jersey before coming. If it hadn’t been just me with the kids, I would have stopped, because from the road it all looked wonderfully colorful and delicious. Sadly, I just didn’t have the energy. We finally made it to Cape May, and in one piece I might add. And I was reminded of the benefits of vacationing with a farming family, albeit not “Local New Jersey Produce” like all the farm stands said, but even more still just as wonderfully colorful and delicious. Sweet corn, peaches, plums, garlic, squash, peppers, cucumbers, cabbage, onions, tomatillos, red noodle beans, watermelon, heirloom tomatoes and cherry tomatoes! Looking forward to cooking this week!